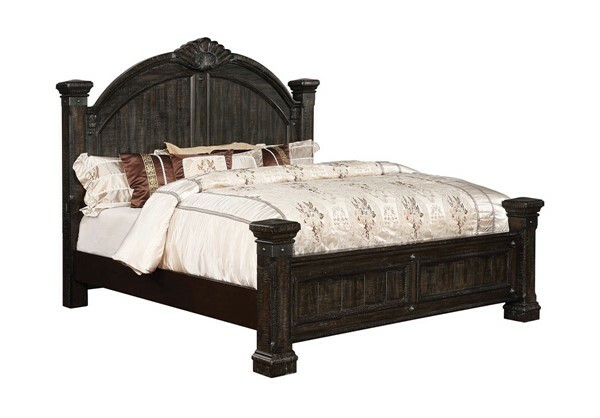 This ample bed is a grand and elegant statement for any bedroom. The headboard's camelback design crests at a seashell styled motif emblazoned at its crown. Vertical planks and post legs add to an even greater sense of scale.